Sarah Nader- snader@shawmedia.com Terry Carroll of Algonquin poses for a portrait in his home studio Wednesday, September 30, 2015. 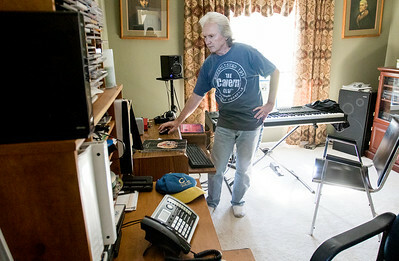 Since 2003 Carroll has written eight songs about the Cubs and has many others he's working on. He writes both words and music, performs, produces, engineers and mixes each song. Sarah Nader- snader@shawmedia.com Terry Carroll of Algonquin sings a song he wrote about the Cubs on his computer at his home Wednesday, September 30, 2015. 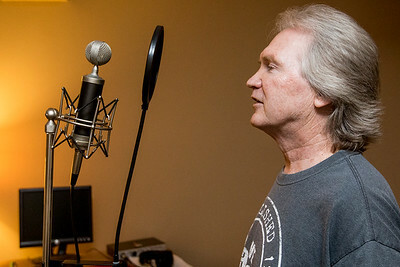 Since 2003 Carroll has written eight songs about the Cubs and has many others he's working on. He writes both words and music, performs, produces, engineers and mixes each song in his home studio. 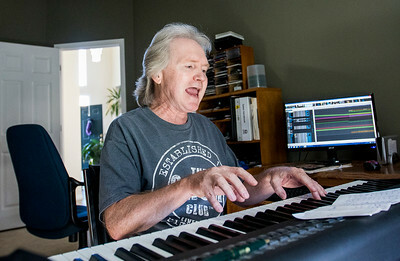 Terry Carroll of Algonquin poses for a portrait in his home studio Wednesday, September 30, 2015. 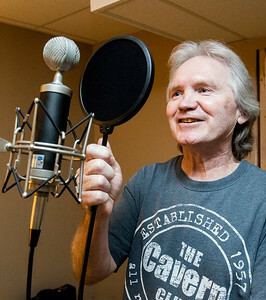 Since 2003 Carroll has written eight songs about the Cubs and has many others he's working on. He writes both words and music, performs, produces, engineers and mixes each song.